Can you identify the following crucial football concepts? For the answers CLICK HERE! How many games will the Buffalo Bills win this year? Sportsbooks have set the betting line at 8.5. Surprisingly, our Artificial Intelligence computer Beardog has the Bills ranked 5th behind New England, Seattle, Dallas and Green Bay due to its strong defense. 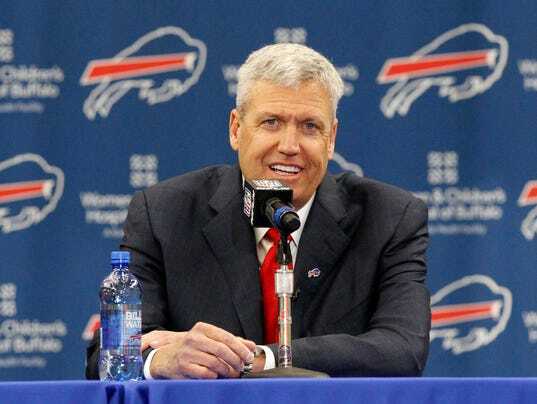 Buffalo has a new coach in Rex Ryan whose unusual formations, blitzes and overall defensive expertise should further strengthen the defense. We project the defensive line to have about 62 sacks this season. Mario Williams, Kyle Williams, Marcell Dareus and Jerry Hughes are as deadly a unit as any in the NFL. They forced 6 fumbles last year.Last year Buffalo was fourth in yards and points given up. There is absolutely no reason that prowess shouldn’t continue this season. If Tom Brady’s suspension is upheld the Bills and their awesome defense will face a green Jimmy Garoppolo in Week 2. Ralph Wilson Stadium is one of the most difficult stadiums for opposing teams to play in due to the rowdy fans and bitter weather.Most of the Bills strong opponents in the next season will be played at home. Hopefully Rex Ryan is smart enough to not play E.J. Manuel. With Manuel on the bench, Tyrod Taylor or Kyle Orton will be in, thus their quarterback problems should dissipate especially if Taylor plays the first game. But in any event Sammy Watkins is a highly talented receiver who we project to have 70 catches and 1000 yards in 2015. Finally, the running back by committee should keep the backfield healthy for what looks like a productive season. LeSean McCoy, recently acquired from the Philadelphia Eagles, is expected to have recovered from a hamstring pull and will be supported by capable veteran Fred Jackson. In addition, the Bills also have Boobie Dixon as well as Karlos Williams the impressive rookie from Florida State. Look for Ryan to pound the ball on the ground, attack with his defense and roll easily to 9 victories or more!